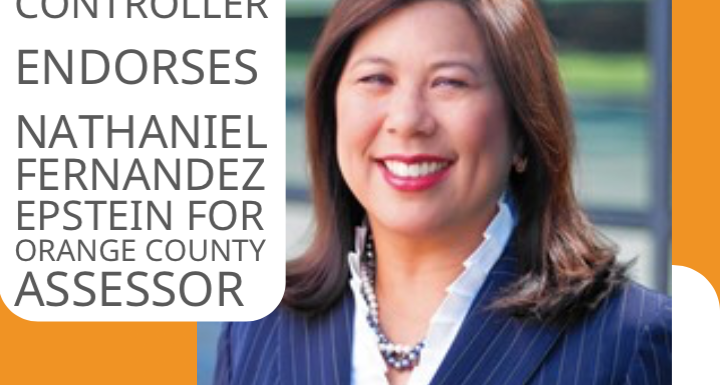 Nathaniel is honored to have Betty’s endorsement because she truly is a role model of what an immigrant can achieve in this country, her service to the community, and to the state of California. State Controller Betty Yee, who lives in San Francisco, currently serves as California State Controller and previously served on the Board of Equalization for over a decade. Betty endorsed Nathaniel after recognizing his dedication and passion to making real change to the Assessor’s Office. Election day is Tuesday, June 5, 2018. 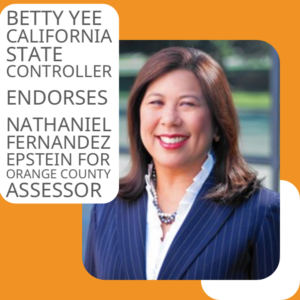 In addition to State Controller Betty Yee and the Democratic Party of Orange County’s endorsement, view additional endorsements Nathaniel has received at www.epstein4oc.com!